Who could have imagined that the apocalypse might come about with the collapse of the real. Well, George Orwell did just that about 70 years ago. As it turns out, 1984 might have been called 2017, the year that alternative facts were injected like cyanide into the body politic. 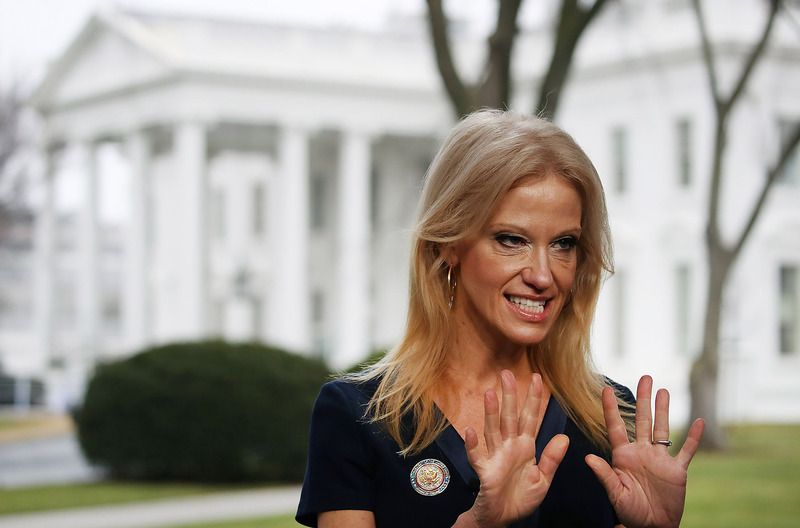 Kellyanne Conway, TRUMP’s Minister of Post-Truth, has been on the front lines of the administration’s aggressive assault on reality, with Steve Bannon, truth’s grim reaper, serving as rear guard masterminding the offensive. The recent Bowling Green Massacre truth bomb, case in point, was hurled so quickly and effortlessly, that even the astute Chris Matthews didn’t see it coming during his interview with Conway. The explosion from this alternative fact missile resonated across the world, nearly wiping out massive amounts of human reasoning, while fortunately, the weapon was neutralized by a social media counter offensive before real damage was done. It turns out that the Iraqi citizens Conway referred to, Mohanad Shareef Hammadi and Waad Ramadan Alwan, whom she brazenly suggested had executed a devastating terrorist attack in Bowling Green, Kentucky, had actually been arrested before any plot could be carried out. These intentionally false assertions and truth warpings have been volleyed with such frequency and determination that the media’s ability to rally its defensive resources to shield the public from poisonous propaganda, is gradually wearing down. TRUMP himself deploys his Twitter feed like a mad gunner, aiming missives wildly in all directions in an attempt to weaken the press by undermining their authenticity with declarations of fake news. CNN, for all intents and purposes, has been declared the first media fatality, as the White House has banned the network from interviewing administration representatives. Sean Spicer, so-called White House spokesman, serves as Conway’s chief lieutenant in carrying out the offensive against the press, peppering his news conferences with alternative facts and disinformation on a broad range of topics. Most notorious was the now infamous crowd count of the Inauguration, stretching the public’s suspension of disbelief to the absolute limit by claiming that TRUMP’s crowd size at 1.5 million was the biggest and baddest ever, despite photographic proof to the contrary. We’re exhausted. We the People are becoming drained and confused, tired and sickened, outraged daily when turning to the news and seeing nothing but endless articles, opinions, corrections, clarifications, and arguments expounding TRUMP’s latest antics. We could easily lose heart. That is their plan: wear us down until we cease to fight back. The People, thus far, are defending its collective grip on reality. But TRUMP has been in office less than three weeks, and America (and the world) is in a constant state of emergency. The White House truth artillery system fires nonstop, and it is lethal. This attack on the real is unprecedented in American politics, an arsenal of weaponry that outstrips all the preceding Republican presidents dating back to Nixon who attempted to manipulate public opinion with assaults of propaganda. But now we have social media as a high speed detection system capable of countering alternative fact bombs by rapidly disseminating a truth defensive at the speed of light, which is what neutralized the Bowling Green Massacre. With every TRUMP Twitter attack, there will be millions upon millions of counter acts of social mediation. As the administration lays waste to the press, our best plan is to crowd source the truth in this dark era of the post real.